One of the fastest players in the NBA, John Wall was the first overall selection in the 2010 NBA Draft by the Washington Wizards. He has gone on to become a four-time NBA All-Star and has also been named to the NBA’s All-Defensive Second Team. 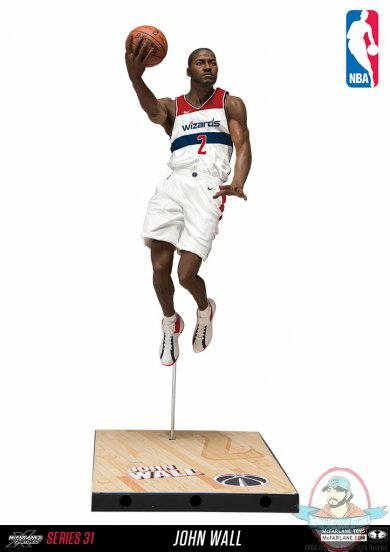 Figure stands 7 inches tall and comes in Washington’s all new 2017-2018 home uniform.